"My only wish is for Free Jump to develop all around the world. I have been dreaming of it for a long time now! " 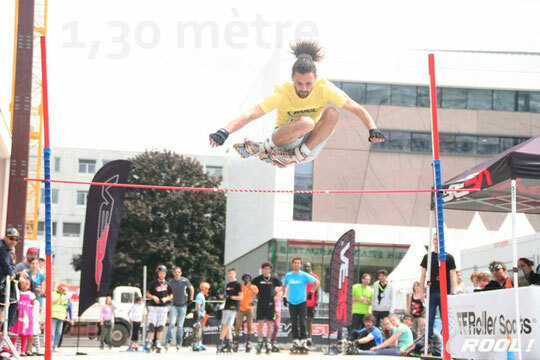 Interview of Thomas Rataud, winner of the Open Free Jump contests of the 2014 World Championship and leader of the brand-new Free Jump World Ranking, on his opinion about the Free Jump evolution and his plans for the upcoming season. P.S. What does it feel like to be first of the World Ranking? Thomas. I’m really happy to be on the top of the world ranking, I think it’s quite funny actually! P.S. 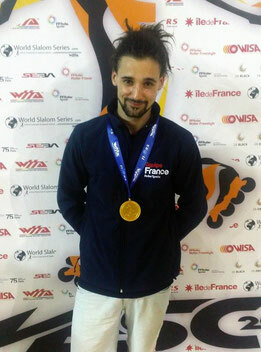 What did you feel when you won the Open Free Jump competition during the WFSC 2014? Did you expect this result? Thomas. At the time, during the competition, I didn't exactly felt anything, I was just deeply focused on my performance, and it’s only after that I realised what just achieved, and it’s a feeling that I can’t fairly describe or explain with words. P.S. For how long have you been skating? Thomas. I skate since I’m 8, so it has been almost 15 years already. P.S. And how do you usually train? What does your typical training look like? Thomas. I know it might be hard for some of you to hear this, but to be honest I don’t really train, or at least not physically. However, I do a lot of mental preparation, I’m a quite imaginative person, and I try to use it for my training. P.S. What do you think about the new Free Jump World Ranking? 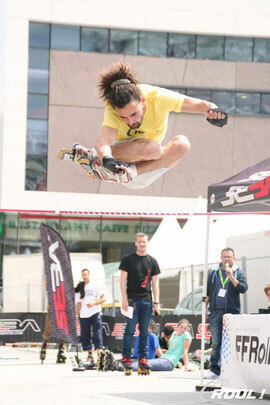 Do you think it will motivate skaters to train and compete even more? Thomas. I think the ranking is quite interesting, because personally I like to be able to relate myself to others. Of course it will motivate skaters! If I see that my ranking goes down, it pushes me to train harder than if I didn't have any ranking. P.S. Do you practice any other skating discipline? P.S. What are your objectives for the upcoming season? Thomas. My main objective for this year is to have much more, so much more fun with my rider friends! Friends before competition! 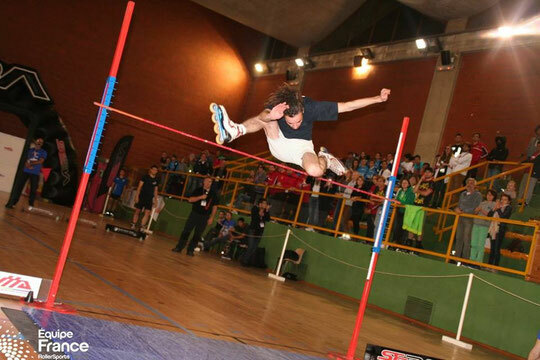 My other goal is to pass the 1m60 bar, and why not to become the new Free Jump record holder! P.S. Do you plan to do more competitions in 2015? Thomas. I plan to participate in every event this year, at least if my professional life allows me to do so! P.S. Do you have a final word to conclude this interview? Thomas. My only wish is for Free Jump to develop all around the world. I have been dreaming of it for a long time now!